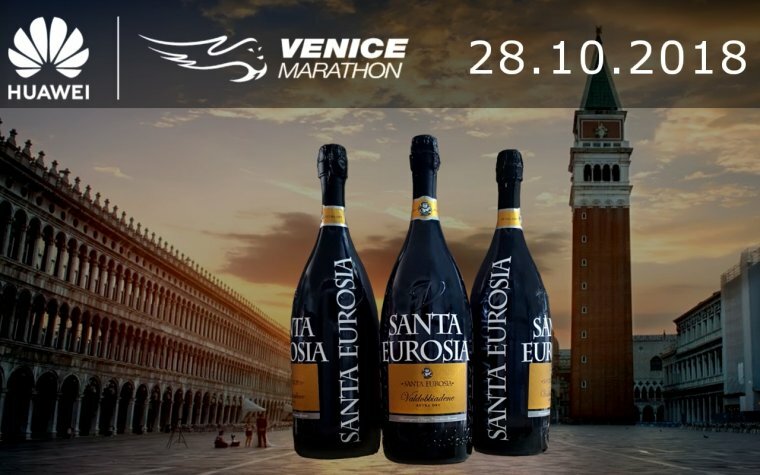 In the 2018 edition, our winery will have the honor of being one of the sponsors of the Huawei Venicemarathon. We will produce for the event a very special limited edition of our Valdobbiadene DOCG Extra dry in magnum bottle, which will be used for the awards ceremony of the marathon. Moreover, for all the event, we will be present with our sparkling wines in the sponsors' areas. There are going to be several events, which will take place on Sunday 28th October. The most important is undoubtedly the "42K", an international competition over the Olympic distance of 42.195 kilometers. It will start in front of Villa Pisani, along the Riviera del Brenta, with its villas, up to Venice, passing through the historic Piazza San Marco with its Belltower and the Palazzo Ducale. There will be also the "10K", the most evocative ten kilometers race in the world, done in the last stretch of the marathon. Finally, the "Family Runs", that are non-competitive races organized in various locations in the province of Venice. Come and visit us, or watch the awards ceremony in streaming on the Venicmarathon website!